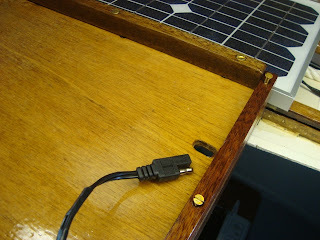 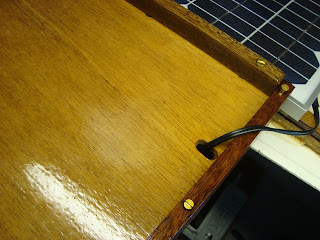 Here are four photos that illustrate how the solar panel slots into a retaining frame. The wire between the panel and the battery passes through a hole in the hatch which is just large enough for the junction plugs. 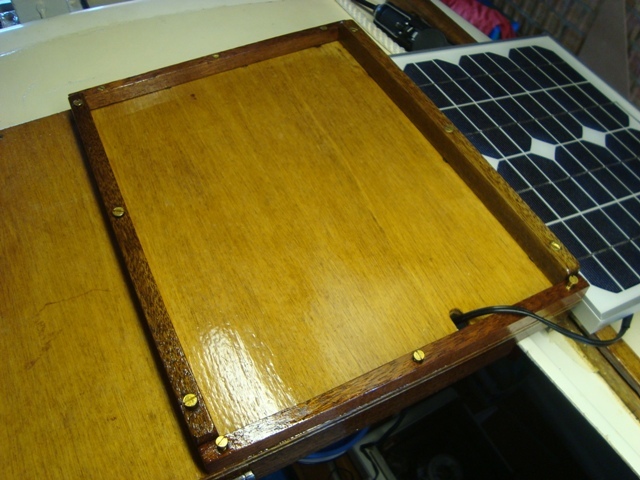 I have not decided whether to permanently fix the panel within the frame or to place it there only when sailing. 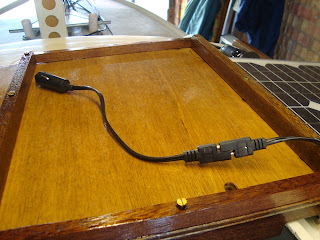 Steve quite rightly comments that I can charge the battery from the mains when the boat is at home.